Did you know that the average life expectancy in the United States today, on average for both men and women, is seventy-eight years old? It’s true, and with the average age of retirement at sixty-five to sixty-nine years of age, that leaves a good amount of years between the two (statistical averages only) to travel and to do the kinds of hobbies we enjoy. But there are also potential problems for those seniors who begin to experience mobility issues—seniors who have joint aches and pains and other physical disabilities, even seniors who experience moderate arthritis can develop mobility issues. Seniors may begin to have trouble going out to go to the doctor, or even going about their own home. Mobility issues decrease a person’s quality of life. A man or woman with mobility issues is less likely to appreciate, enjoy, or even partake in social activities with friends and family. Even more serious are those who have lost the confidence for mobility within their own home. 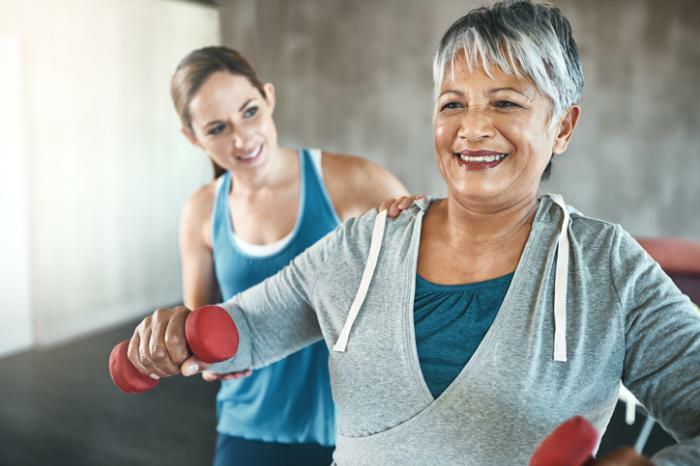 And the possible avoidance that often accompanies mobility discomfort and pain tends to be a reason for seniors to discontinue exercise, which, in turn, then increases the problems with mobility. For those who experience mobility issues, it may be best to allow certain modifications/assistance, so that seniors, especially those with disabilities, can continue to be mobile, continue to enjoy exercise and improve a quality of life. And if you have any questions about how G and J Enterprises can help you or a loved one improve quality of life, then call today.